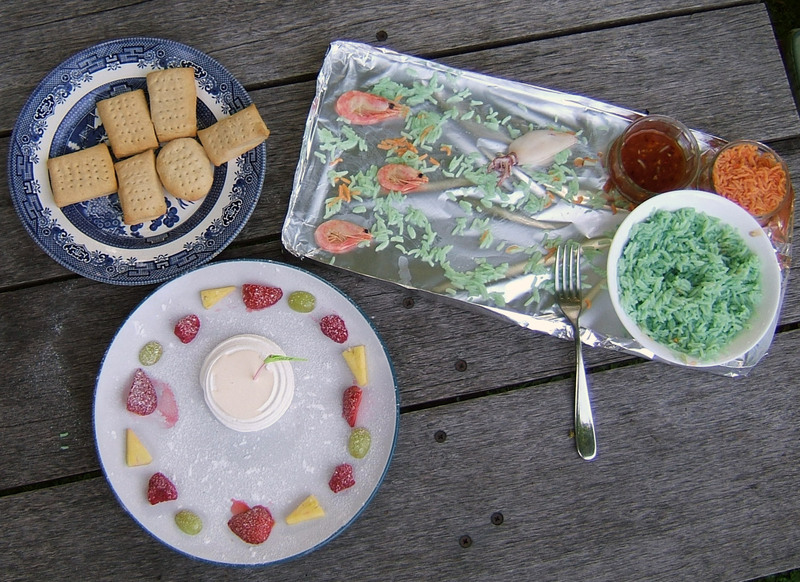 Traditional Antarctic recipes, warming foods for an extreme climate. Antarctica doesn't have a cuisine as such, it isn't populated except by visitors who stay for a few months or not usually more than a year, there are no farms, nothing vegetable that you can eat grows there and the wildlife is protected so you can't eat that. Unlike anywhere else in the rest of the world, there aren't any recipes that are passed down from one generation to the next, there are no celebrity chefs, no restaurants you can turn up to eat at and no sources of foodstuff to buy. 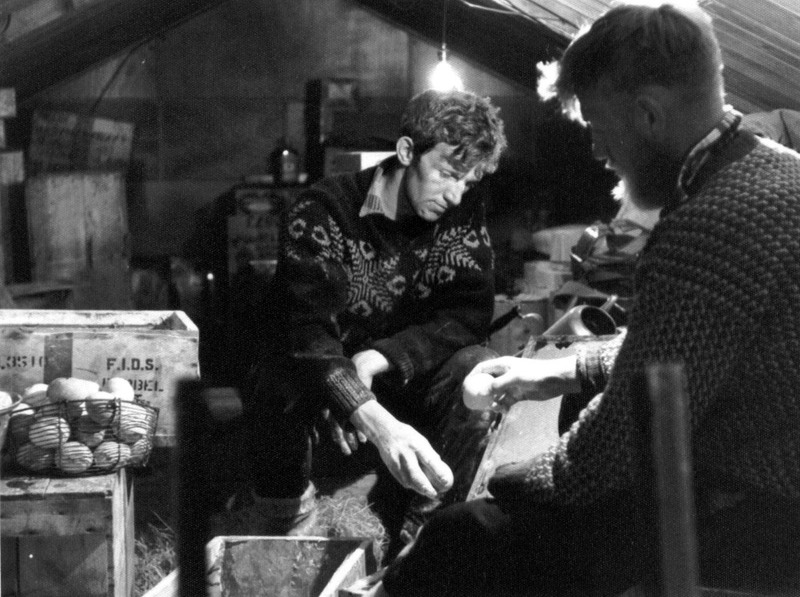 It wasn't always like this as the expeditioner in the photo to the right shows tucking into a bumper sized boiled egg provided by a Giant Petrel in the 1960's. Food is however enormously important in Antarctica in the way that it always is when it's cold and those lovely salads and fruity treats of the summer are forgotten about in favour of thick soups, stews and high fat delights to replace the energy you lose just trying to keep warm. 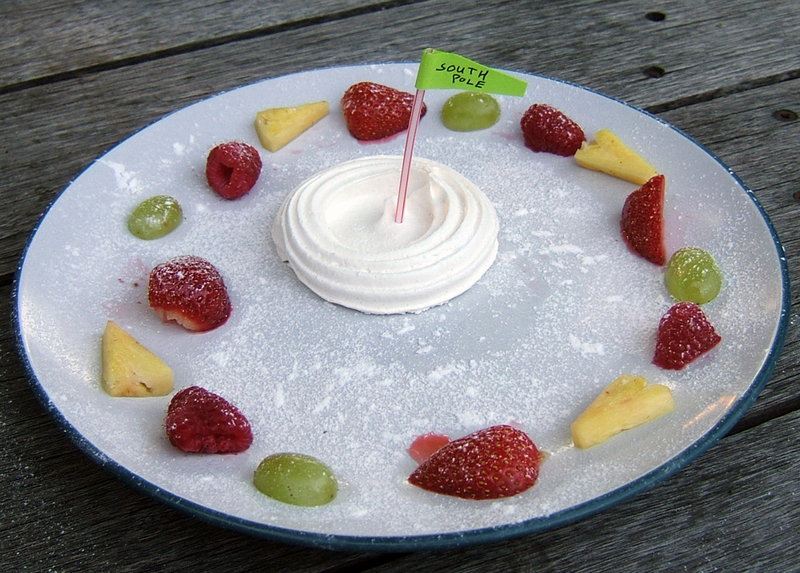 Here are some suggestions of foods that have some claim to be an Antarctican cuisine. Are there any typical Antarctican recipes? Most people in Antarctica are on national bases, they eat food that is shipped in from their own country and also bought at ports en route. All food is shipped in and prepared by qualified cooks/chefs in modern kitchens with modern cooking equipment. For much of the year it is preserved, though fresh fruit and vegetables are available when ships or aircraft arrive from beyond Antarctica. Some bases have hydroponic growing systems to provide a small supply of fresh vegetables and herbs grown under lights in the dark Antarctic winter. Having spent two continuous years in Antarctica over two winters and three summers I think there are a small number of foods/recipes that represent Antarctica. 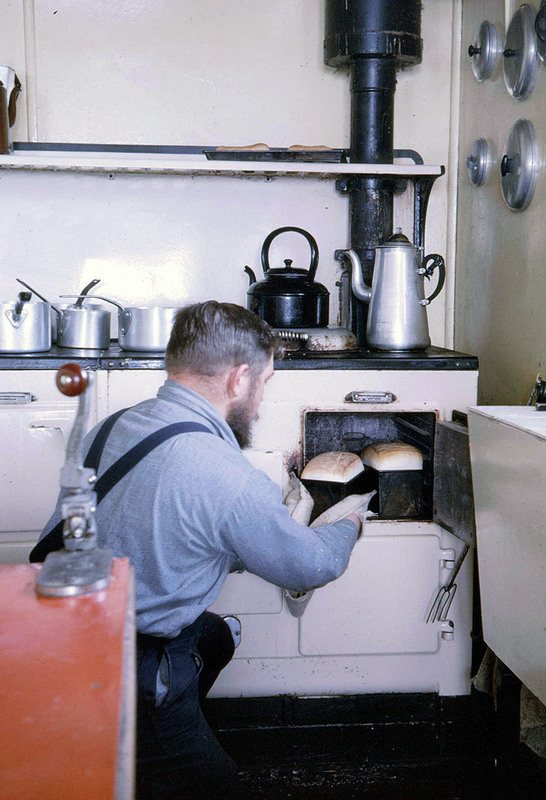 Baking fresh bread in Antarctica, here in the 1960's, the closest you can get to a "fresh" food for much of the year. 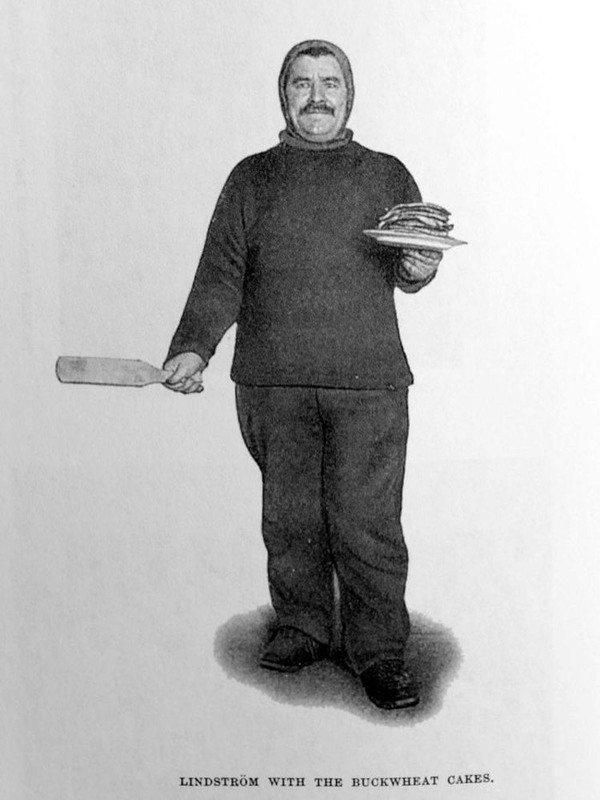 Adolf Lindstrom with a plate of freshly made buckwheat cakes, with Roald Amundsen on the Fram in 1911. 1 - Freshly baked bread. With no other fresh foodstuff regularly available, this already fabulous food attains new heights. A particular joy of being on night-watch is to bake a days worth of bread for the whole base, a recommended way of gaining kudos with your fellow base members when they wake up for breakfast and a very satisfying thing to do when you're the only one awake on a darkened base. This has been the case for over a hundred years and continues to this day. If you are particularly ambitious you could stretch to croissants or brioche, though these take more practice, and a shocking amount of butter for the croissants if you've never made them before. 2 - Sledging biscuit. A fabled Antarctic food though not one you would choose to eat if there is an alternative (see fresh baked bead above). The advantage of sledging biscuit is that it is compact, physically resilient, high in energy and stays edible for a long, long time. It is a part of the staple diet when away from base when hunger from activity and the open air make it especially delicious. It is a simple hard biscuit that can be spread with butter and any other available toppings such as marmite, cheese etc. or be crumbled up with meat-bar/pemmican and water to make hoosh. 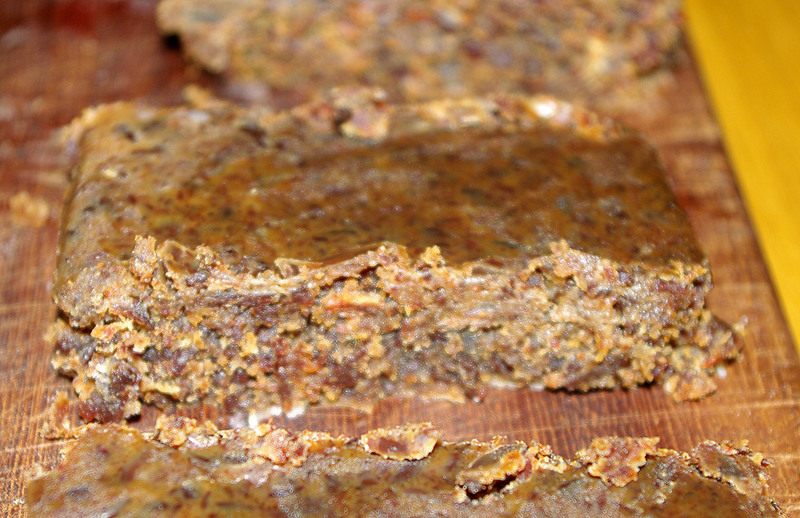 3 - Pemmican or meat-bar. From the earliest days of Antarctica, pemmican has stood alongside the sledging biscuit as the fuel that powered exploration. Originally a native American food (Cree apparently), the exact recipe varies enormously, it is a food that is compact, physically resilient, high in energy and stays edible for a long, long time (sound like anything else?). It is a low water food that is a mixture of dried meat and fat, it can be eaten as it is or mixed with biscuit and water to make hoosh. 4 - Fresh vegetables - eh? read on... ask anyone who has been to Antarctica other than just for a short period of months and they will tell you that one of the strongest food memories is of fresh vegetables arriving after months without. You wouldn't believe how delicious a simple boiled carrot or potato can taste. You could try it in isolation to see. It could be argued that fresh veg simply prepared is a true taste of Antarctica as it provides the most memorable and intense food experiences while there, though you need to go without for a few months first to get the real experience. 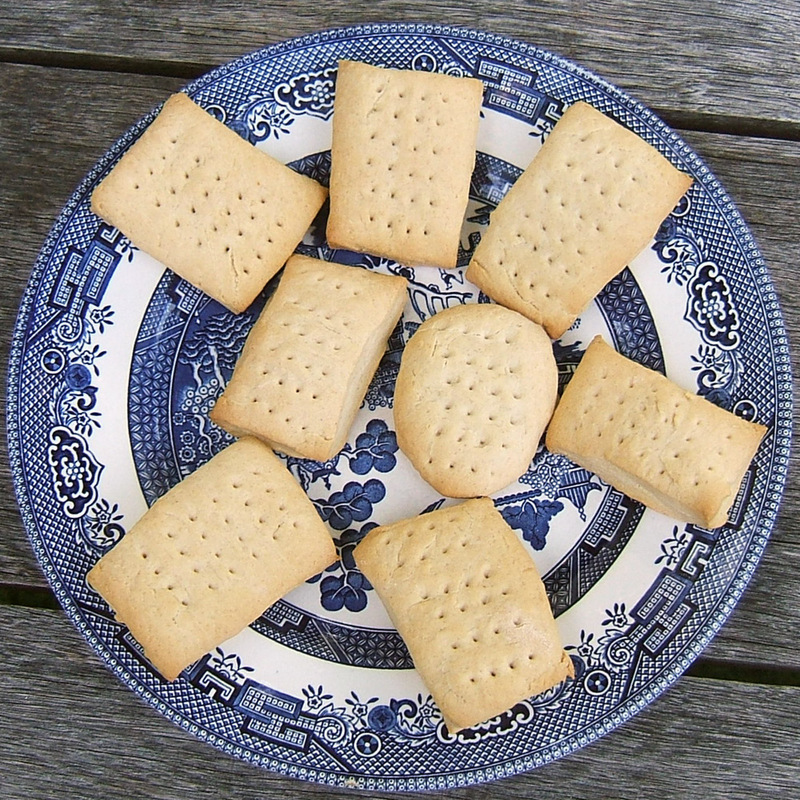 Plain biscuits, high in energy, physically resilient, compact and bland enough to be inoffensive to everyone. These powered men to the South Pole on foot and while driving dog teams (much harder work than it might sound), they fed those who did all of the discovery of Antarctica and continue to be a staple food away from bases while camping and surveying or carrying out field research. Eat with butter, marmite, tinned cheese, or with pemmican in a stew to make hoosh. A simple but very effective way of making a very high energy, physically resilient and compact foodstuff from meat and fat. 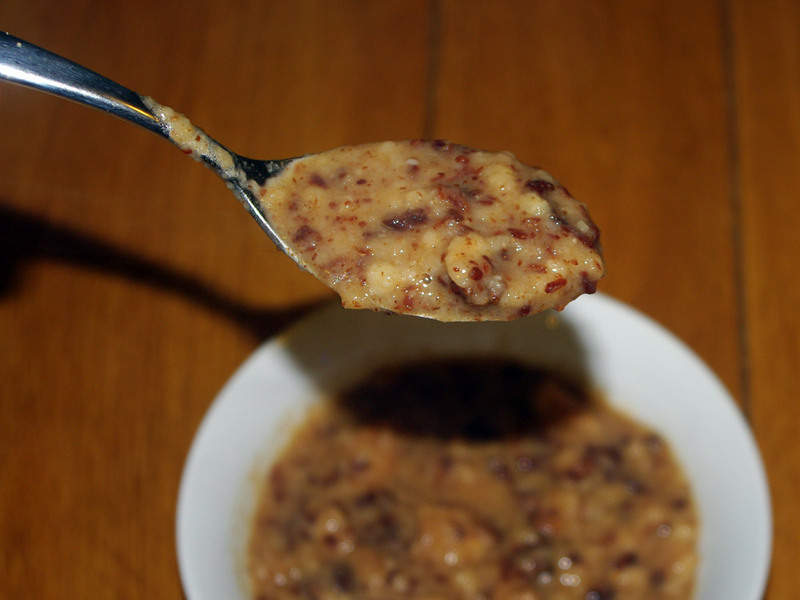 Pemmican can be eaten as it is, on sledging biscuits or made into a stew after minimal cooking as hoosh. Fat from the same kind of meat, (purchased extra fat of the same kind if there is not enough on the piece you buy) - around 250g of fat for 1kg of meat, the meat will be dehydrated and much lighter when the fat is added. A simple stew made in the field from pemmican, sledging biscuits and snow. This and little else than this was eaten by the teams of Scott and Amundsen to reach the South Pole and by all of the early Antarctic explorers. 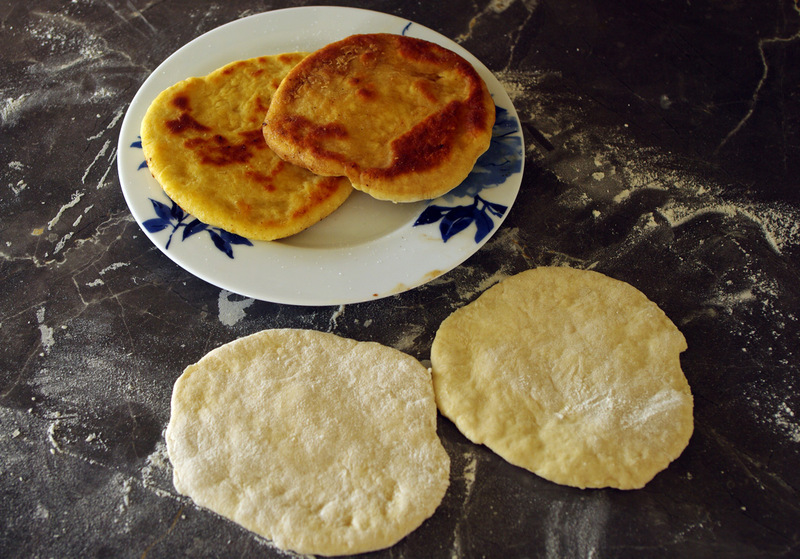 After the Endurance sank amongst the ice floes of the Weddell Sea, this simple flatbread sustained the crew as it could be made easily with minimal equipment on a blubber stove made of scavenged metal from the ship wreck. 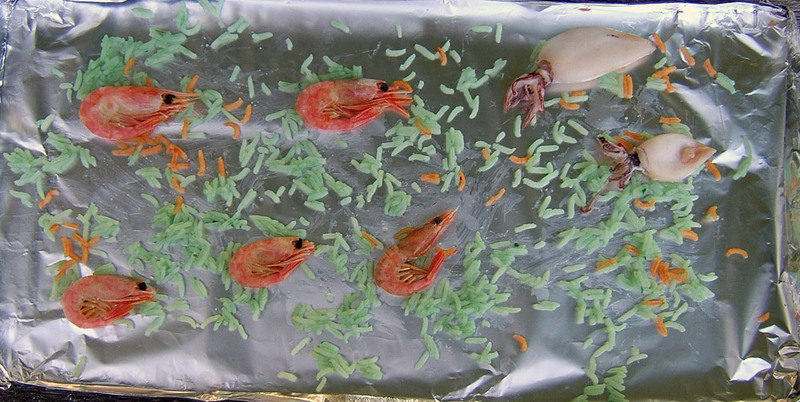 A representation of the Antarctic marine food web, a fun to make simple seafood dish. Squid or small whole fish. With a sweet chili sauce to give it flavour and make it especially tasty (the sweet chili sauce doesn't represent anything). In honour of the Amundsen-Scott, South Pole Base annual Christmas tradition on the 25th of December, there is a race three times around the world through all lines of longitude. Dusted with icing sugar snow. Another image from the 1960's when Antarctica did have a sort-of cuisine or at least available wild foods that weren't illegal to eat as they are today. Penguin and other birds eggs were collected in the summer months (no more than one egg from each nest, they usually lay two) and stored for use in the winter.